Songbird was written by Christine McVie from the band, Fleetwood Mac in 1977. 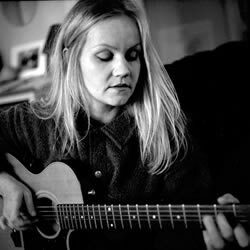 Eva Cassidy covered the song which she recorded in 1996 and released in 1997 on her album Eva By Heart . The song was also featured on a compilation album Songbird which was released May 19, 1998 - two years after her death. The G(alt) chord is a G chord - (G) with an alternative voicing played in the Intro and last chord of the song. The Csus2 in the Intro is different to the Csus2 in the verses. Please Note: There are several different ways of playing these chords - these are the preferred voicings. The song is more suited to intermediate players as some of the chords are fairly unusual and the timing takes a little getting used to. This is the type of song that you keep coming back to, and once you master it you will have raised the bar on your progress as a developing guitarist. Stick with this one - it's well worth the effort. 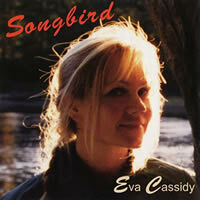 Eva Cassidy Website: evacassidy.org... maintained by her sister, Laura C. Bligh. Eva Cassidy was an outstanding American singer-guitarist who was well known for her amazing variations in musical styles including Soul, Pop, Jazz, Blues, Folk, and Gospel. Eva was born in Washington DC and began her singing career with a band called Easy Street at 11 years of age. She began work as a session singer around 1987 and sang backing vocals for various local bands. She eventually formed her own band called The Eva Cassidy Band performing throughout Washington for several years. In 1992 she released The Other Side with Chuck Brown. The album featured songs such as Somewhere over the Rainbow and Fever . Eva’s first solo album was a live recording from her performance at Blues Alley in Washington in 1996 where she received good reviews from the local media. In 1993 Eva had a malignant melanoma removed from her back. Three years later after experiencing pain in her joints, X-rays revealed that the melanoma had spread to her lungs and bones. She chose to undergo aggressive treatment but lost the battle and died in November 1996. Her final concert was held in early fall of that year at The Bayou where she performed for family, friends and fans - the final song for her performance... What A Wonderful World. In 1997 Eva By Heart was released from work completed in the studio during 1996. The album included well-known songs such as Songbird , Time Is A Healer and Wayfaring Stranger . Other albums released were Songbird (1998), Time After Time and Imagine (2000), American Tune (2003), Wonderful World (2004), Somewhere (2008), Simply Eva (2011) and The Best of Eva Cassidy (2012). Eva will always be remembered as 'the beautiful person with the beautiful voice' - a voice full of strength, clarity, warmth and character - a true songbird. Although she died young, she left an amazing number of albums for the enjoyment of her countless fans... myself included. EVA CASSIDY chords and lyrics are property and copyright of their owners. "Songbird" chords and lyrics are provided for educational purposes and personal use only.